2refresh: New Year’s resolution: Start Dieting! New Year’s resolution: Start Dieting! After the “Saint Holiday” cravings comes “the panic of the weighing scale”, it’s a great name for movie staring lots of persons that have eaten to much in this holidays, and as a consequence they all made the same New Year’s resolution: Start Dieting! So as a big star in this movie I also made the same New Year’s resolution, and of today I’m starting a diet. Losing weight fast is a relative concept. However, with monitoring and dedication it is possible to lose weight on an ideal pace for your body helping you achieve that desired profile. Below are some tips to help you and me fallow the weight loss program at your/my one pace. Willpower - you will not go very far without it. Keep focus on your goal and go all the way. Stick with the program - keep within the losing weight program. Avoid too many cheating days. Perseverance - do not give up. The roads to lose weight rapidly are hard and the temptations are great, but only with perseverance you can overcome the obstacles. 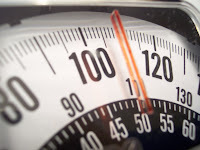 Know your limits – not all of us lose weight at the same pace, and it may not be equal to what you expect or want. Be comprehensive with your body. Willpower – just to remember! Leave some comments to help others and me. Try "The Feast Supercharged" for an all natural, organic, whole food supplement. I have one for breakfast with Whey Protein and Soy Milk and one for lunch with "Beyond Berries" for my afternoon pick me up before my daily workout. Great blog bro! Keep up the good work!